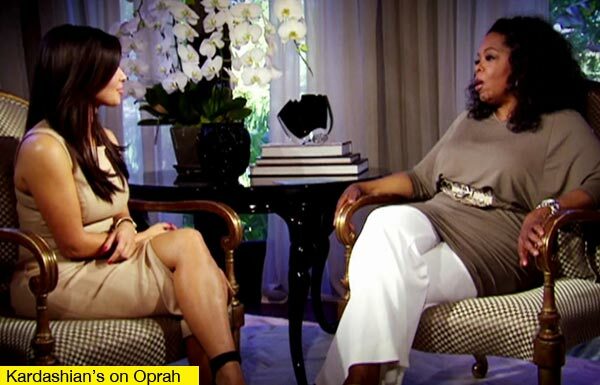 Reality TV Star Kim kardashian has opened up about his relationship with kanye west to oprah winfrey in an exclusive interview granted to oprah's OWN network . Is Kanye west your new fairy tale?" Oprah asked the reality star. "We met almost a decade ago, we've known each other for a very long time, we've been friends for six or seven years, "I don't know why it took us so long to get together: I think we've always had an attraction to each other, but we've always been in other relationships or it wasn't the right timing. "One day it just happenedit took me by surprise." Are you dating him to get more publicity?Oprah asked , "It's your heart you're playing with. "I couldn't sacrifice my heart for a publicity stunt"Kim replied. Kim concluded by saying she's not moving in or thinking of tying the knot with the 35-year-old hit-maker just yet, but "to have him in my life this way, says a lot about us".